Yes, it seems that some of those “unsophisticated users” can very quickly become sophisticated. What is astonishing is the ages of those involved. Some of the earlier attacks were against a major CDDoS protection company and were directly preceded by a threat. That threat was made by the then-17-year-old owner and sole employee of a competing DDoS protection company. 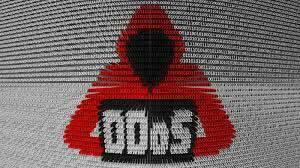 The 18 Jan 17 blog gives a link to a separate 19 Oct 16 story Spreading the DDoS Disease and Selling the Cure, which points to a 19-year-old Californian. In turn, that story has a link to a Sept. 8 story, Israeli Online Attack Service Earned $600,000 in Two Years, where the hacked vDOS database indicated the service was run by two 18-year-old Israeli men. In the 18 Jan 17 blog Brian Krebs is now “confident to have uncovered Anna-Senpai’s real-life identity, and the identity of at least one co-conspirator who helped to write and modify the malware.” This blog is recommended reading for insight into the murky world of the millennia mobsters, which also happens to be our own everyday world.